This man was making a career out of persecuting the Church. Our verb tense shows continuous action; that is, He was relentlessly having people killed and compelling them to blaspheme Christ. Our word for “beyond measure” in Greek is huperbole, from which we get our word hyperbole. In other words, Saul moved in an exaggerated form of persecution. While in its infancy, he mercilessly attacked the Church and did everything in his power to snuff it out. This is a faithful account of the facts — worthy of all acceptance. 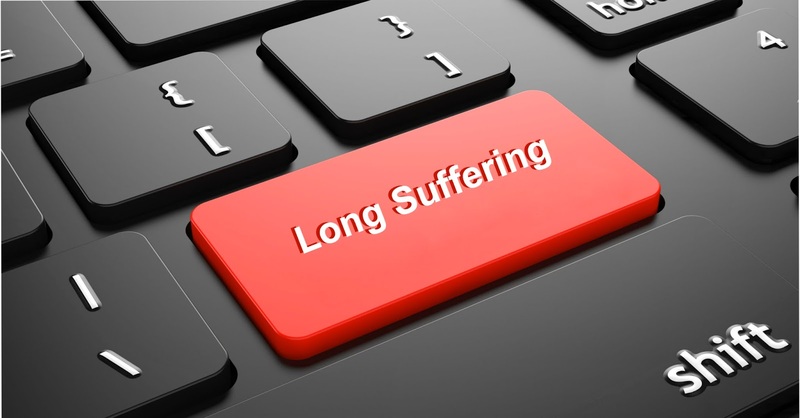 Our Greek word makrothumia, translated as “long suffering” is very strong. In fact, the word thumos is an emotion stronger than anger. God’s mercy towards Saul was not only a demonstration of His mercy in terms of forgiving a person of their sins, but of the restraining force He was moving in that was more powerful than Saul’s zeal to destroy the Church. In other words, God was moving in an exaggerated form of long-suffering as He looked over Saul acting out. Where sin was abounding — grace was super abounding. Notice the word ignorance in our passage. It denotes people who simply do not know better. They were blinded because of their love of darkness (John 3:1ff); by the god of this present evil world (2 Corinthians 4:4); and by God Himself (John 12:40). Theologians refer to this technically as the noetic effects of sin. Paul was moving in ignorance as well. He explained this in 1 Timothy 1:13 when he wrote, “Although I was formerly a blasphemer, a persecutor, and an insolent man; but I obtained mercy because I did it ignorantly in unbelief.” This verse implies that Saul simply did not believe the claims of the Saints. This is not necessarily an obstinance in the face of the facts, but a genuine ignorance of who Christ truly is. This problem was solved on the road to Demascus. Had Saul continued to persecute after that event, his sin would no longer have been in ignorance, but would have been willfull. How we respond to Christ when He reveals Himself to us is the key. Paul was a living example of how the veil of blindness that is over the heart of many Jews is removed. But even to this day, when Moses is read, a veil lies on their heart. Nevertheless when one turns to the Lord, the veil is taken away. (2 Corinthians 3:15–16 NKJV) When Saul finally “turned” to the Lord, as a consequence of the revelation of Jesus Christ on the road to Demascus, he fulfilled the requirements of Acts 3:19. He was also given the commission of duplicating that experience in the lives of others. For the heart of this people is grown dull, and their ears are hard of hearing, and their eyes have they closed; lest they should see with their eyes, and hear with their ears, and understand with their heart, and should turn and I should heal them. Paul could have easily said, “while I was yet the Chief of sinners, Christ died for me.” He turned from his former life and received eternal life. This is the force of Calvary. Nevertheless, everyone who hears Paul’s testimony must likewise “see; hear; understand; turn; and he healed.” God has demonstrated His long suffering, but it will not go on forever.